Mobile vs Landline or: Wait, Can You Hear Me NOW? In the late 1980s a major US telecom boasted their call quality was so exceptional that “you can hear a pin drop”. Twenty years later, another telecom bragged they could offer “fewer dropped calls” and repeated over and over the phrase, “Can your hear me now?” It wasn’t a gimmick, it was an honest question, and it paints the perfect picture of the shift from landline to mobile communications. No one disputes the benefits of mobile phones, but it’s undeniable that the technology trades quality and reliability for convenience. In the past few years the prototypical cellphone has all but disappeared, giving way to smartphones, text messaging, and always-on internet connections. Mobile calls are shorter and less frequent than ever, so the diminished quality and reliability tends to go unnoticed… until you want to participate in a conference call. Surrounding noise like the radio, wind or traffic will be picked up by a microphone. Your typical conference call is an hour long, connecting five, ten, twenty or more people. In this environment call quality and reliability are paramount and cannot be assured by a wireless network. Moreover, the portability of a mobile phone means you’re seldom in a quiet place while making a call. 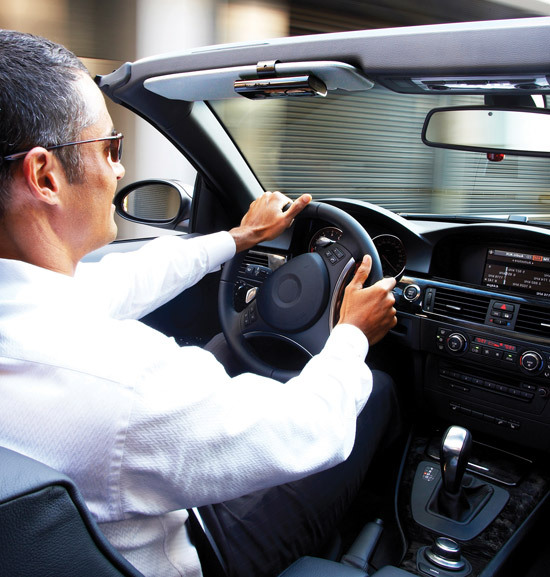 You’re likely somewhere in public, or in the car using a speakerphone. And while your phone’s speaker maybe be louder than its earpiece, you’re using the same microphone in either mode. Your phone simply boosts the volume of the input, meaning it will pick up not only your voice, but any little noises within a few feet of the microphone. That means your radio and engine, as well as road noise, wind from and open window, and the sound of other traffic. Muting the line can help if you only need to listen, but if you’re planning to talk avoid mobile speakerphones all together. The landline is almost a thing of the past. Consumers have switched the cable-based home phones and business is migrating to Voice-Over-IP. Carriers are constantly handing calls off to each other through cost-saving measure called Least Cost Routing and have combined their voice and data networks into a single pipe. All that considered, landlines are still regarded as having better call quality and reliability than any mobile service. Keep in mind that every piece of the puzzle, from your headset to your phone to your service provider, plays and important role in the quality and reliability of your call. A little knowledge can go a long way to ensure a top notch conferencing experience.